The mass spectra of two isomers of butane, 1-butene and cis-2-butene, interacting with linearly polarized Ti:sapphire laser pulses, were compared. It was demonstrated that the difference between the two spectra are much more pronounced than the corresponding spectra prepared by 100 eV electron ionization ion source. In addition, the difference could be varied by changing the peak laser intensity. 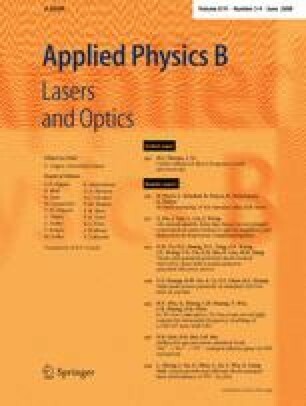 The observation suggests potential application of dissociative multiphoton ionization by ultrafast laser pulses as a source for high performance mass spectroscopy.